Millions of people worldwide are looking for answers to the advantages using cloud backup solutions to create backups of their computers. Online backups are a great way to ensure that your data will not be lost if something goes wrong with your computer. External hard drives work great for backups, but what happens if your home is burglarized and your computer and that all-important external hard drive is taken? Hopefully your data is protected, but having a backup that’s kept online- now known as “the cloud” is something that everyone should consider. If finding the most secure service is something that is important to you, you really need to do your research to feel comfortable about using cloud storage. It’s understandable that you’re skeptical about the security of cloud storage- we hear of leaks and issues with hackers almost every day in the news. But cloud storage really depends on the service that you select. 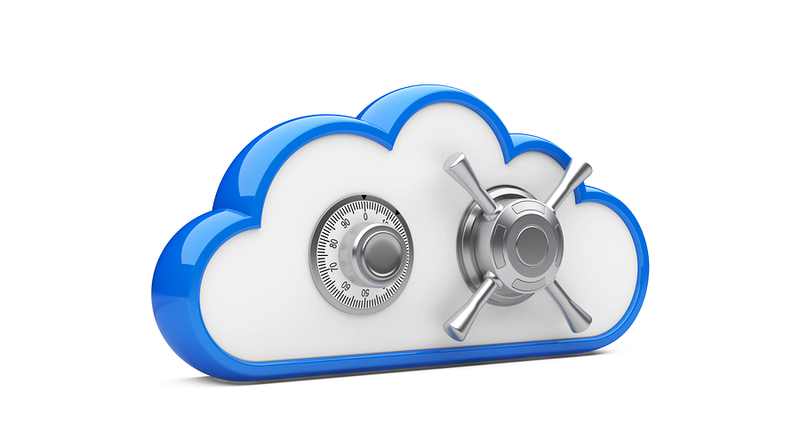 Is cloud storage secure? Yes- if you take the proper precautions on your end, and your cloud service provider protects it on theirs. In essence, you need to select the type of security that you need based on how critical the data is. If you’re doing day-to-day file sharing, you don’t need a super-secure solution. If you’re using it to backup your entire business, you should use an end to end secure service. By doing the proper research on the cloud storage services available to you or using a professional cloud backup and storage company, you can find the right solution that fits your need. Here’s some tips that are very important if you’re considering using an online backup service. You should take the proper precautions to help ensure the security of your backups. 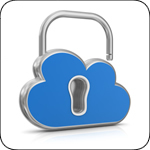 Not having an secure password is one of the easiest ways to compromise your cloud storage solution. It has to be complex, and you should also change passwords that you use to access your systems on a regular basis. Use a password that has at least 12 characters. Limit the access to this password (and your backup) to a select list of employees and/or management. Keep the list to people you would trust with the lifeblood of your company. If you’re not sure where to start you can always use a secure password generator. *NOTE- these are just suggestions- keep in mind that this will help prevent things from happening, but no password is full-proof. If given time and motivation, you can be still be hacked. Use these tips as a guideline, and not an end-all-be-all solution. Think you have an uncrackable password? Use one of these tools to check! Keeping your cloud storage backup data safe should include protecting it against cyber eavesdropping, because as it transfers from your computer to the cloud backup service of your choice it can be vulnerable. Most cloud storage systems offer some level of encryption, but utilizing a secure VPN can help make the transfer even more secure. You can also learn about what type of encryption works best for the data you’re attempting to secure. Here’s a little bit more information on the subject. Testing the best-rated cloud storage services that meet the requirements that you’re looking for is very important. If you get the most secure system but can’t understand how it works or how to access your data, it becomes a weakness in your overall security plan. Why? Because you’re going to put your trust into someone that understands the system better- which can be a dangerous thing. Testing should always be done with meaningless documents to make sure that they are safe and secure. Make sure that you are comfortable with the results of your tests- especially when it comes to security. If some of your computer-savvy employees can get into the files easily, it’s probably not the best system to use. There are many cloud backup services that can offer a false sense of security, so test until you are comfortable, then make the plunge.